Hey guys. I had my friend make me a player model for another western game i play. But It pretty much died. So im bringing it to Smokin Guns for yall to use. This game has so much potential. Id love to help out. He's still not quite finished with it. But do yall thnk you could work it into the game? Or would it help in anyway? I am just an ordinary player, but i think the model is nice. That does look nice. In fact, it may be nice enough to make our other player models look like crap... due to the difference in poly count. If your friend REALLY wanted to help, we could sure use a modeller who can also animate. (We'd like our current player models updated before adding new ones.) Shoot me a pm if interested. But there's no law that says your friend can't finish the model shown above & offer it as an independant download. I'll email him right now and see if he'd be interested. nice, I'm a modeler as well, I been working on some as well in my free time. But he is further along than I I'm since I have other projects, I have face and a few animations done, still working on other stuff. I also help a racing game as well and another game. So that would be great to help these guys out as my time is limited. I still plan to get mind done. Does your friend know how to rig and animate? If not I do . The problem with Smokin guns models, they have older rigs, and someone used tringles to model which is decent but its better to use quads like this model was done. Makes life way easier and stuff looks way better. Just a FYI. He emailed me back and said he would try to help model a couple characters. He said he knows how to animate as well. I sent ReD all the info and his email in a PM. So maybe this cant get something started. Cool. And thanks Recon03 for your offer to provide additional support. Maybe between the two of you we'll end up with some great improvements. We have 3 males & one female model, if that isn't too tall of a request. The only thing we might lack is a skinner, although we might be able to ask a favor of the guys who did such a good job on our current skins. 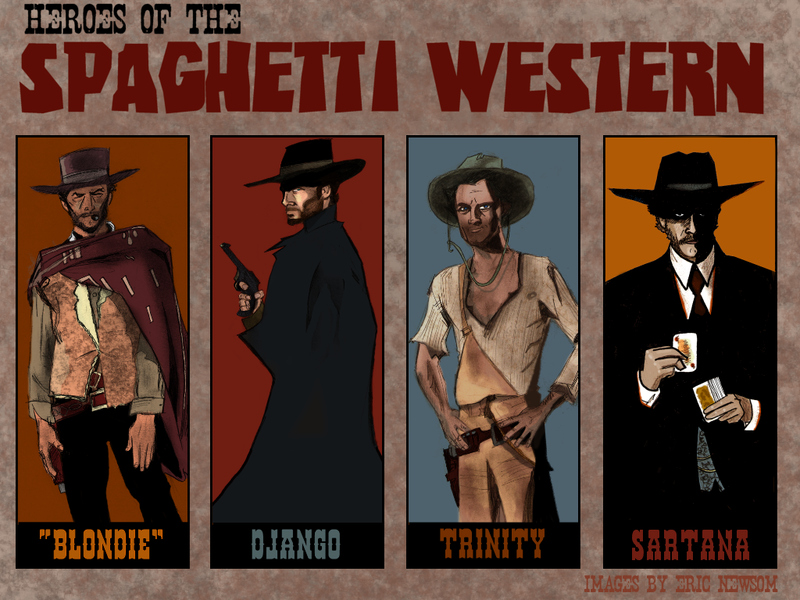 We like the spaghetti western style of our current models. Just wishing they could be recreated with more polys. Same naming convention to avoid re-coding, same overall shape, & would need to be the same size as what we currently have or there could be problems with movement in our maps. The issue with those models is how there made, they would not animate well, and the rigs I use would not work right, already tried. How ever they can be remade, the same ones. Just done with quads instead. So that shouldn't be an issue for you guys at all. They can be made the same size and everything thats not an issue what so ever. Skinning is not a big deal either. As far as animating, myself and the other person would have to know what would you like to know what poses, do you guys need, also how many frames do you need, want etc. Pretty much all that info will be needed. As far as the models do you want new texture's or do you have some that your already wanting us to use? We would need to know this as well. This is some of the info, we would need . Just an info you may want to be aware about. ioQ3 engine introduced IQM format model support. creators to any projects using ioq3 as a base. Current 1.1 SG code branch is synchronized with ioQ3 engine and so IQM support is implemented. If someone produces a player model in IQM format, I would be curious to see how we can fully support the related animations in SG. So if this is possible, try to do it, and I'll do my best too on the coding part !